If You Really Want To Gain Muscle And Grow... Get Ready For The Off Season! You need to have a plan in place to keep growing for the next season. Get some ideas right here about how you can keep growing. Training, diet, and supplementation are still the main points to success. Read on for more. "Do I have a plan for the upcoming off season?" The key is to your off season success is quite simple; you must have a plan and stay committed to it. Everyone wants some magic supplement or training program (and believe me if it where out there I would know about it as I have tried it all). Unfortunately there's not a quick fix. Here is a good example of my personal experience and although my training has evolved over the past few years and I have gotten smarter with my supplementation the truth is what has really changed is that my diet has stayed much more consistent and the supplements I implement are more strategically placed within the diet. My training has been very good and consistent for a solid 6 years or so and I have always taken lots of nutritional supplements as I have been in this industry for 13 years now. The first thing to remember is if you are trying to gain quality muscle you must get somewhat beyond the whole scale thing. You should without a doubt see your weight increase, but for most normal people it will be say 5-15 lbs. at best reflected on the scale. Not 20-30 lb. Once again weight is not the primary goal here; muscle is and as little of a motivator that is keep in mind when next year comes along if you plan on getting in shape, whether it be for competition or a personal goal, unnecessary weight gain will just make that process a lot harder and longer. I want to focus mainly on nutrition here but I will touch on a few training suggestions. 4-5 days per week is plenty. Form is key: check your ego at the door! Throwing around weight by any means necessary is dangerous and not near as effective as using the proper range of motion and actually lifting the weight with a particular muscle group. Remember consistency is the secret for both training and nutrition and you can't train if you are injured! As a recommendation, larger muscle groups should get hit with 12 sets while the smaller muscle groups get hit with somewhere around 8 total sets. After a proper warm-up, keep the reps around 10. I will admit on certain exercises it is hard not to go heavy (call it ego) for 6 reps or so. I have never been a big fan of the whole 2-3 rep thing let alone singles for mass. Here again it comes down to possible injuries being a big factor in this decision. If you have some lagging body parts you may consider hitting them twice during the week as long as you give it a few days to recover. We can get more in-depth with the training aspect at some later time but now its time to move on and discuss nutrition and supplementation. When it comes to dieting / fat loss, calories are everything. During a gaining period we are able to focus a little more on the foods without being held under a microscope as far as calories and exact portions. This does not mean it's an excuse to eat anything and as much as you want! The key here is to try to eat as clean as possible during the majority of the week and then give yourself a break, whether it is an entire day or just one meal where you let yourself indulge. This I will have to leave up to the individual; however you know if you are one who gains fat easy or not. I leave this up to your discretion! 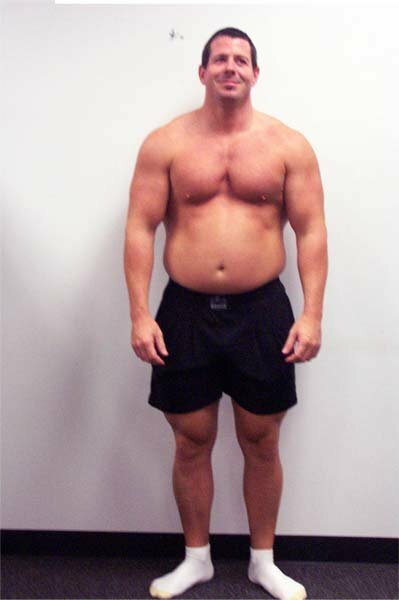 The first time I had a local big name bodybuilder write me an off season plan 10 years ago he put a post workout meal in there that consisted of a Big Mac, large fry and a milkshake and told me to eat that meal at my discretion. Well guess what. I had it just about every post workout meal and I got real big as in big and FAT! Not the gains that I was looking for. My point being is that you know whether or not you can handle a burger and fries on a Sunday afternoon along with a desert or if you can go nuts all day long. If you can't, look in the mirror and it won't take long to figure out. The cleaner you eat the better off you will be. I am going to lay out an example diet for say a 200 lb. person. I am also going to put in the products that I use, which are mainly ISS Research products (I work for the company). However I do keep up on everyone's stuff and do like to use some non-ISS products during my gaining period. I am a big fan of Vitargo CGL by Nutrex as well as some of the Nitric Oxide pills and Flaxseed. This is a guideline to get you started and will give you an idea on how you should be eating to have the most effective off season. You can use similar products from your favorite company in place of the ones I have listed. I am not here to tell you it will not work without using ISS as Bodybuilding.com is full of great information, so just make sure it is a reputable company and the label is accurate. Here we go! Another option would be 2 scoops of Micellar Matrix (or your favorite blend) with 1 cup of quick oats and 1 tablespoon flax. Gainer Matrix (or a quality gainer that is low in sugar) mixed in water. Micellar matrix w/ flax and peanut butter (or slow releasing blend of your choice). Satur8 (or energy product or drink of your choice). I use Satur8, Vitargo CGL and the Nitrix Oxide products to keep my muscles as full as possible. Not only does this make for some ridiculous pumps while training but it really helps keep the blood moving and in turn nutrients flowing to the right places. I don't know about anybody else but I hate to get that soft feeling in my muscle that usually comes with the weight gain; this stack really helps. I hope this gives a good idea of what you should be doing. Obviously you can adjust the food amounts based on your weight. Don't get too caught up or drive yourself crazy with exact amounts etc. Have a cheat day or a couple cheat meals planned during the week; just don't go crazy or it will not only get you fat but hinder the whole muscle building process in a lot of cases. Even if you are a super hard gainer and can get away with tons of junk that does not mean it is the optimal way to gain... eat more quality foods. This diet does not have to be held under a microscope like a contest prep situation, however to make quality gains throughout the year this diet is just as important if you want to grow! Make the most of your off season. It will pay off "huge" in the long run. Remember consistency is the key when it comes to diet, training and supplementation for muscle growth success. Make The Most Of Your Off Season. Kevin DeHaven is the head of the inside sales department at ISS Research. His career has been bright and so was his transformation.